This superior condo has been completely remodeled with new kitchen cabinets and granite counter tops. All full sized appliances and a fully equipped kitchen are available for preparing meals, and a wonderful dining experience on the balcony. All 4 bedrooms have NEW furniture, NEW tile, NEW mattresses, and the 3 full baths have NEW fixtures, vanities, tubs/showers etc. A NEW granite wet bar has been added in the kitchen area for entertaining, and a 57' flat screen is wall-mounted in the living room. Guest Bedroom 3: the '2nd master' 1 King bed, all new furniture, with private full bath. 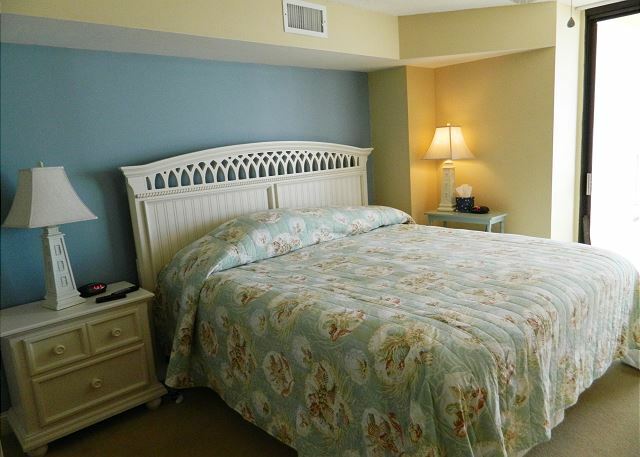 This bedroom provides the most privacy and is in the rear of the condo. 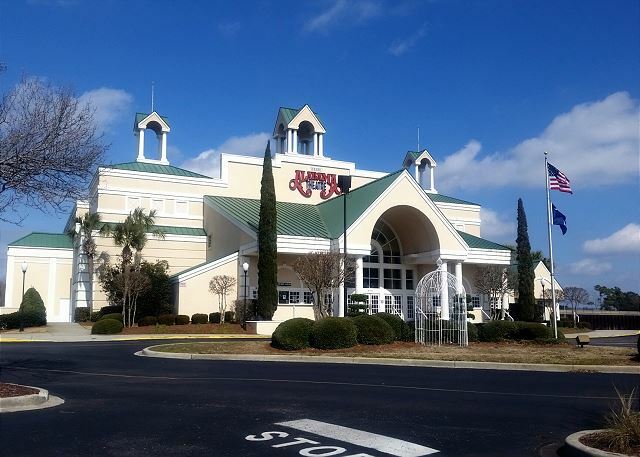 The Summit is ½ mile from one of North Myrtle Beach’s most popular destinations - Barefoot Landing (House of Blues, Alabama Theater, shopping, etc. ), which backs up to the Intracoastal waterway. There are also grocery stores and ‘spirit’ stores within a one mile radius. It’s a nice midway point to many other attractions as well, from Broadway at the Beach in Myrtle Beach to Calabash, NC (where you can watch the fishing boats come in with their catch-of-the-day...from pier to plate). Windy Hill Beach does not have thru-traffic from other beaches so traffic is minimal and the strip immaculate. An expansive marsh that ebbs and flows with the tide is one block south…great for crabbing and fishing at low tide from either the surf, the rocks or the bridge. You can cook and eat your own ‘catch’ but if you don’t feel like cooking, there are restaurants within walking distance, including the renowned Hamburger Joe’s. A newly renovated children’s park (Virgil Yow Park) is also within walking distance on Windy Hill Rd./46th Ave.
Windy Hill is one of the widest beaches on the entire East Coast, so you can play Football/ Frisbee/Bocce Ball into the evening hours, even at high tide! The shallow 'tide pools' at low tide are perfect for toddlers, allowing adults leisure time without worry. For those seeking more adventure, Atlantic Water Sports (seasonal) is a short walk north along the beach where you can take banana boat rides, para-sail or rent jet skis. Seasonal lifeguards w/ beach chair and umbrella rentals are directly in front of The Summit, and the resort pool is heated. 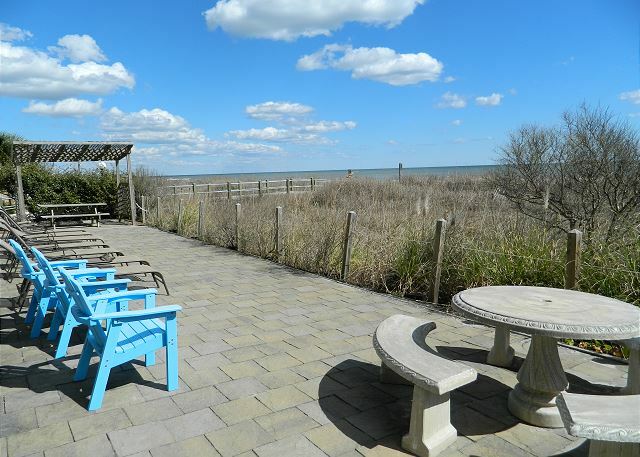 The private sundeck allows you to catch the rays until sunset, and there are charcoal grills and picnic tables for cookouts. Great location. Spacious condo. Provided telephone and long distance service a big plus. No pool available during the winter months. Cozy,bright,easy to get too,great view. Thank you for this kind review. The Summit is a great complex in the heart of Windy Hill, so it is an easy and obvious choice for a family friendly beach getaway. The condo offers ocean front comfortable surroundings, and the owner takes great care to provide all the necessities of a home away from home. This unit is a well-furnished end unit so the views are extra spectacular. The Barefoot Landing Resort is just minutes away, so plenty of shopping, dining, music entertainment and kids themed attractions. We know you have a lot of choices when you are searching for a property rental. Thank you for choosing to stay with us. We had fun with a great view of the ocean. When the high tide is in it looks like you’re floating in the ocean from the living room. Thank you kindly for the outstanding review and the visual comments about how awesome the view is, too!! 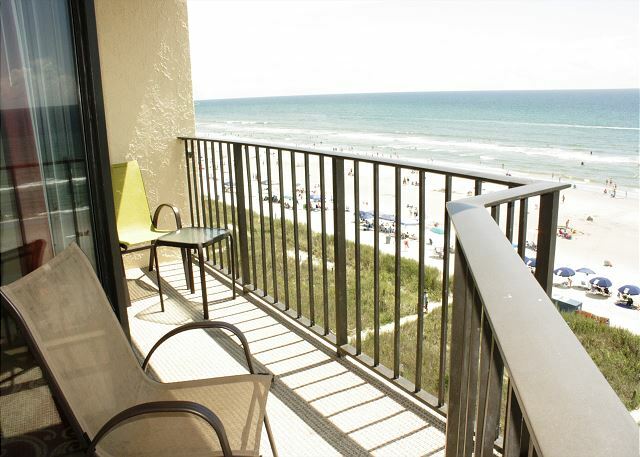 The Windy Hill beaches are some of the prettiest on our Grand Strand, while this 6th floor Summit unit is just high enough above the pool crowds and high enough to see all of the wonderful views in every direction, especially at night! The owner takes great care to make the condo inviting and updated. So glad that you enjoyed your stay and we hope to hear from you when it is time to make return plans. Overall, enjoyed our stay !! Enjoyed our stay, mostly everything was positive. Pros: All of the rooms were nicely sized. Balcony was awesome, kitchen was adequately furnished. Living room and dining room flow was very good. Bedrooms were located nicely allowing max privacy. Location near Barefoot Landing was excellent ! loose screw and doors were asked upon arrival . Refrigerator door and unit door were tricky to shut. Thank you for both the compliments and critiques. How unfortunate that we did not earn a perfect score; but we would have liked to hear from you during your stay to correct any issues. It would certainly have been a high priority for us to remedy the problems for you. We appreciate that you made us aware of the situation thru this review and our sincere apologies that we disappointed you in the cleanliness category. We hope that you will entertain the idea of coming back to visit and we will get a second chance to impress you. Thanks again. Good location and lovely beach area. Condo was laid out great for our 4 couples and 2 children. Our only negative was that we paid $275 for the linen package and only had 7 towels, 7 wash cloths, and 3 hand towels for 10 people. We called immediately and the Owner Direct staff said they would send someone with more towels. No one came that evening. When I called again, they informed us the owner hired their own cleaning company so they would have to come and unlock the owner’s closet and get more towels and would come the next day. Finally got towels mid-day on the 2nd day. (After a third call) Just towels...we had to go buy washcloths. In that time period, we found a dirty sock and used water bottle in one of the queen bedrooms so we really questioned the cleanliness of the unit and the communication of the owner with their cleaning company about the number of guests vs. adequate linens. There were also no kitchen towels or potholders so the couple of nights we stayed in for a family meal we had to make do with what few handtowels we had. Overall the condo was nice (carpets a little worn) and spacious but the linen package was not worth the $275 charge. Bring your own and kitchen ones too. I am glad to hear that you did enjoy The Summit 6F, it really is a great condo right on a beautiful section for our beach. I am sorry to hear of your cleaning a linen issues, this owner uses his owner cleaner and he has addressed the issues. Thank you for letting us know so that it could be taken care of. We also want to thank you for staying with us and for taking the time to complete our survey, we appreciate it. Please come and join us again. Absolutely as advertised in all respects. Clean & comfortable. Location was superb. We visited Alligator Adventure, Pirates Voyage & Barefoot Landing, along with numerous restaurants. Never a long drive. Beach was terrific. Seashell collector? This is the place. VRBO folks are really great to work with. Overall, best oceanfront rental we have had, anywhere, any time. Highly recommended! WOW!!! We really appreciate that positive review!!! You have checked every box that makes this a top-notch property. Our local office, Owner Direct Vacation Rentals, is in charge of the reservations, maintenance and cleaning details, so it is important to us that we are providing the best services for our guests. The Summit is a wonderful ocean-front complex, in the beautiful Windy Hill beach section, and the owner of the condo will be proud to read about how much their condo is appreciated. We thank you again for taking a minute to share the kudos and look forward to hearing that you are ready to return. Spent 3 months in this condo. It started to feel like home. Great location and lots of room in the condo. Very nice condo. Carpets worst for wear, but the owner plans on upgrading them this year. The only disappointment is the pool doesn’t open until the outside temperature hits 90, so no pool during the winter months. All in all, we enjoyed our stay and plan to stay here again next year. Thank you for taking the time to complete the survey, the owner and our staff thank you. We are happy to hear that you enjoyed you stay at The Summit #6F, it is a great property. It is a very spacious unit with room for everyone and the view is amazing, a great place to sit and let the winter months pass you by. Thank you again for staying with us and we will see you in December. 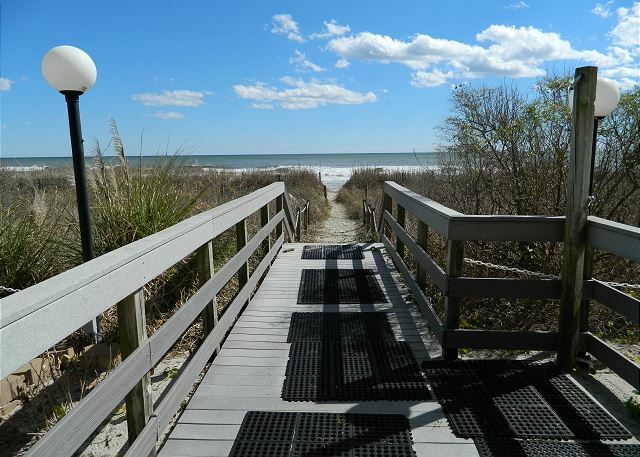 Each year, we take our children and grandchildren for a extended week-end trip to Myrtle Beach. 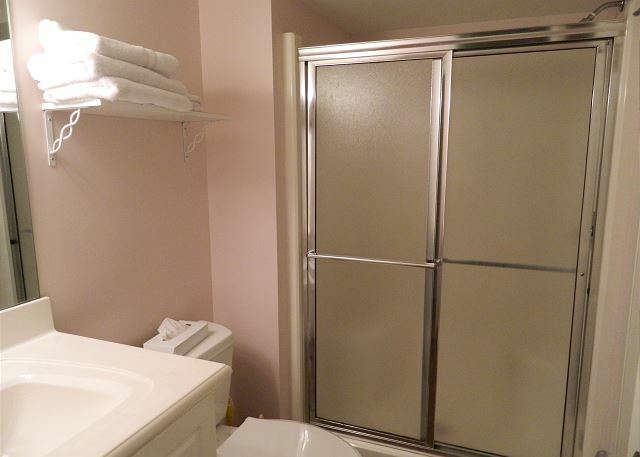 This was a beautiful condo, very roomy, clean and in excellent condition. Would highly recommend this to others looking for a vacation rental. I found this rental after our first rental was not what we expected. I must make sure you know it was not with this rental agency. The staff was awesome in helping us get into the the unit. They were very nice and pleasant and extremely helpful. The condo was exceptional!!! We had adults and babies and there was plenty of room. The beds were very comfortable, great supply of linens. The kitchen was awesome it had everything you would ever need. The unit was clean. My husbands favorite part was the large balcony which actually had enough chairs for everyone to sit in. The grounds where very pleasing as well. I would highly recommend to anyone who has a large family, plenty of room for everyone!!! Thank you and we were more than happy to help you out of a bad situation. We are very happy to hear that your family vacation was saved. The summit#6F is a terrific oceanfront unit that is spacious, comfortable and has everything you would need. Thank you for staying with us and for taking the time to complete our survey. We hope to see you again next year.